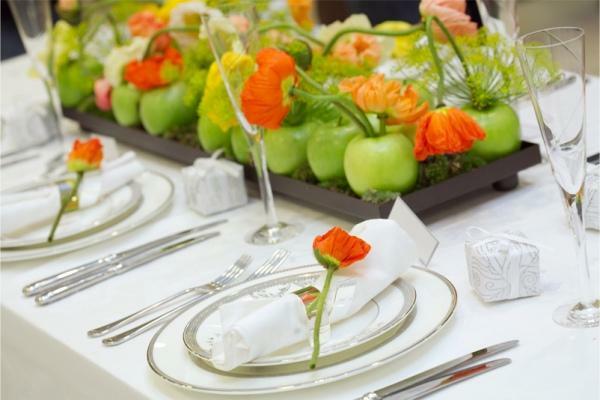 Elegant table decorations and centerpiece ideas are a great way to show creativity and style, to add beauty to dining room decor and beautiful your dining table with a meaningful floral theme. 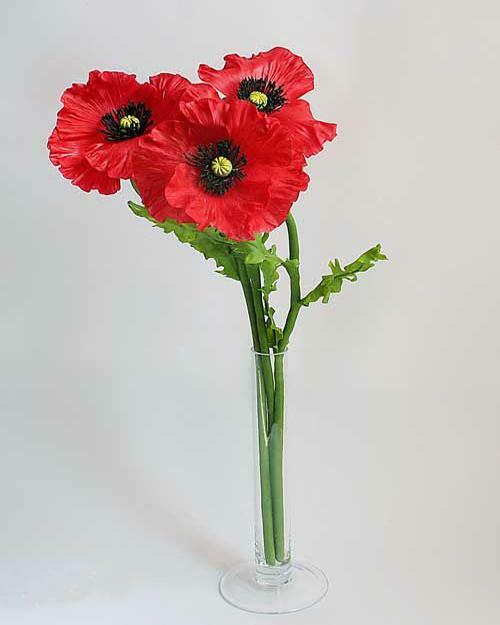 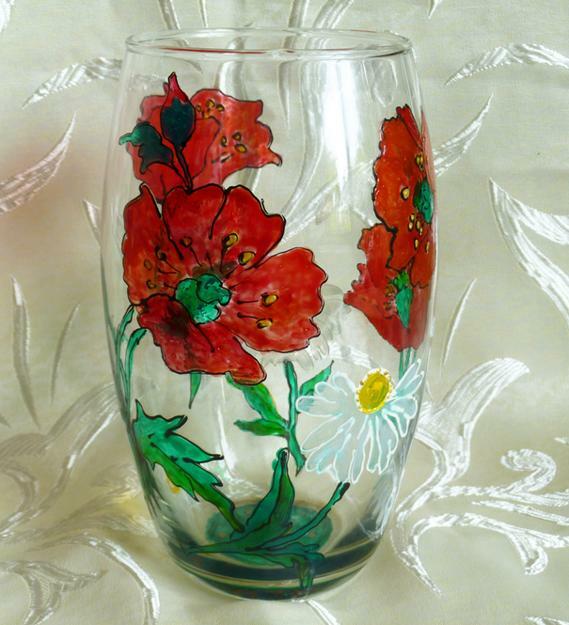 Red poppy flower designs make wonderful table decorations and create bright table centerpieces, especially great for Remembrance Day lunch and Memorial Day dining. 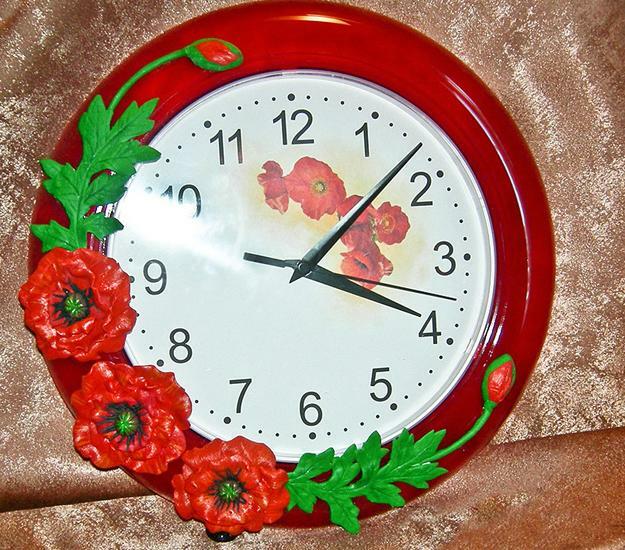 Red poppies, used as symbolic flowers to remember soldiers, are associated with another, happy and sunny, spring-like, warm and festive decorating theme. 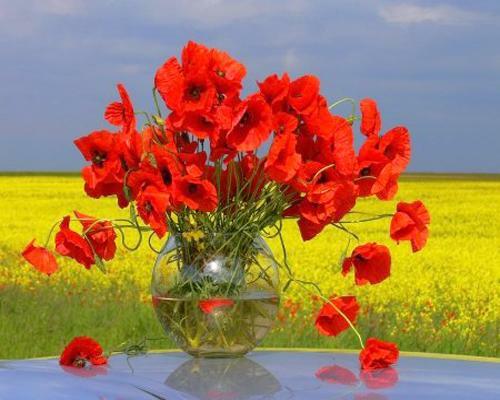 Yellow, orange and red poppies are stunning symbols of new beginning and joy. 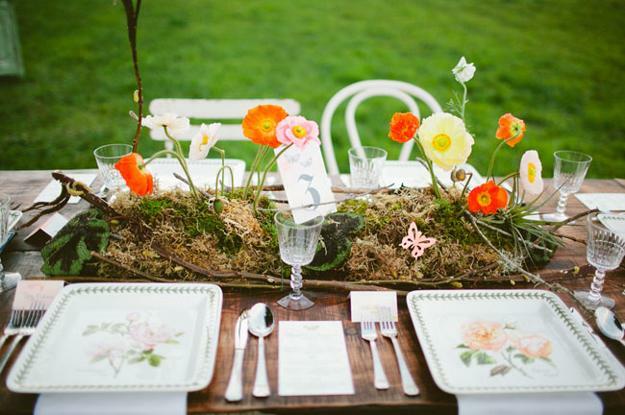 Floral table decorations and centerpiece ideas, inspired by yellow, orange, red, pink and purple poppies, are versatile and very attractive. 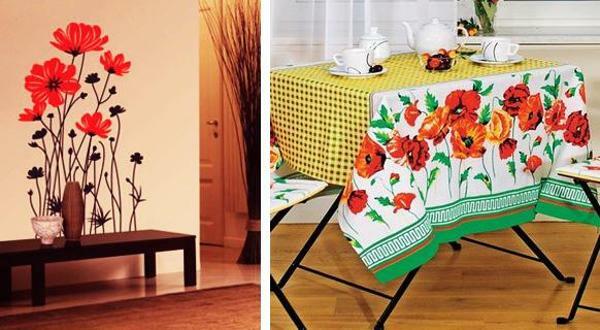 These floral designs bring fantastic colors and add unique character to dining table decor. 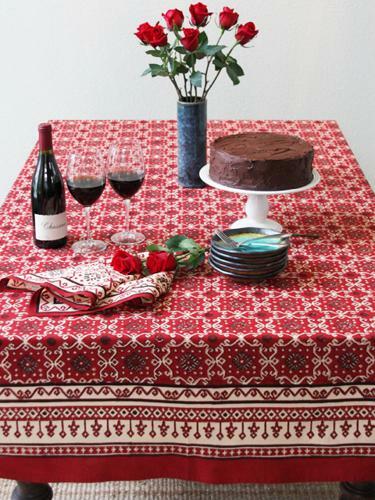 Family gatherings and holiday dinners are about festive food, nice smiles and colorful moments. 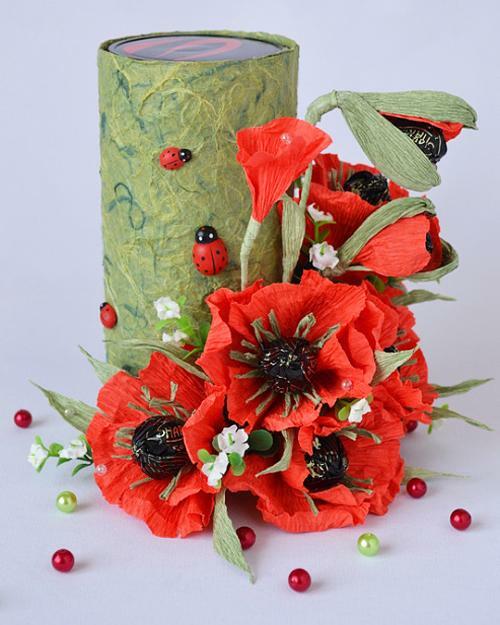 Poppy flower designs create a sense of the ambiance with rich color combinations, universally appealing images and creative floral arrangements. 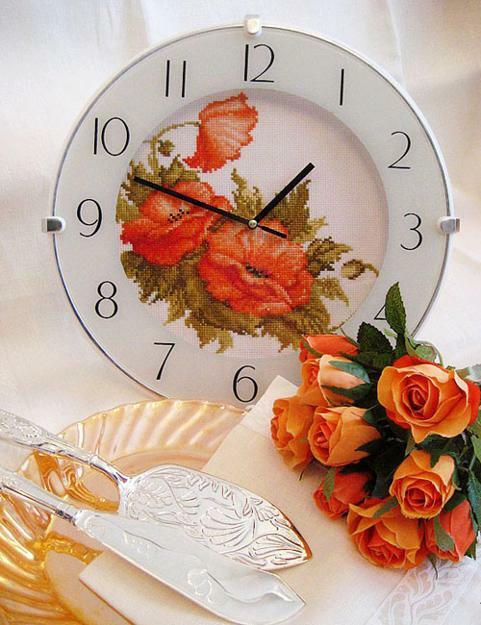 Red colors are one of modern trends in home decorating. 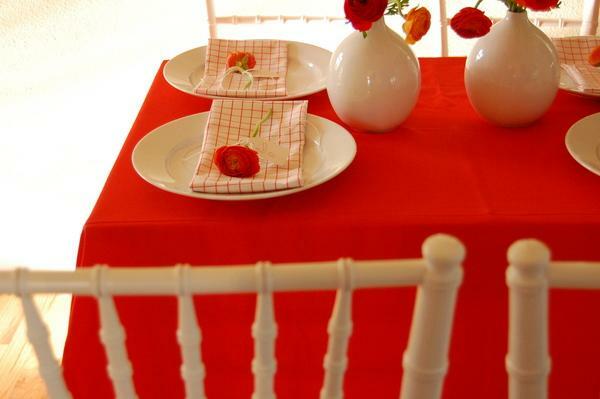 Red colors add drama and passion to dining room decor and transform special event tables into spectacular displays. 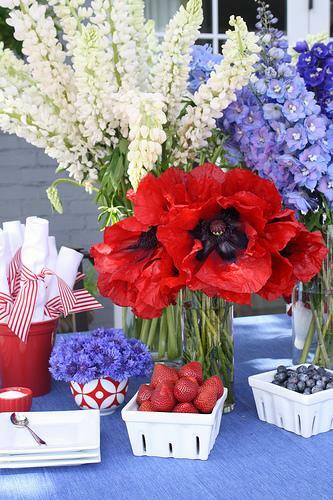 Red flower table centerpieces set exciting mood by adding bright and festive accents to table decorations. 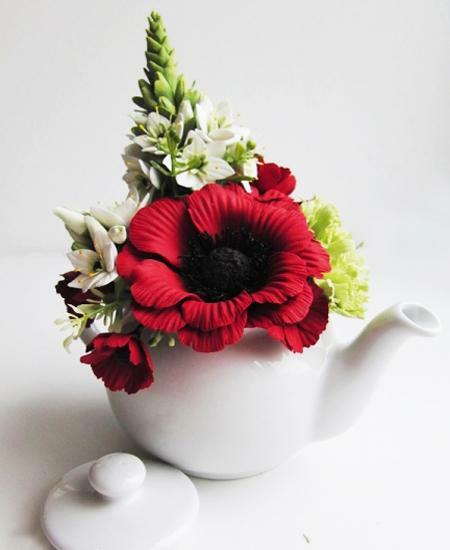 Red flower arrangements are one of the simplest and easiest ways bring energy into dining room decor and jazz up table decorations. 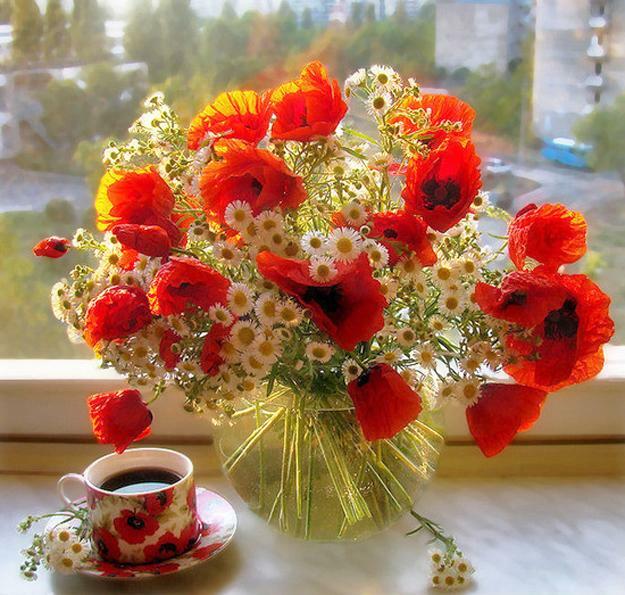 Red flower arrangements are universal table centerpiece ideas to make people lough and smile more often, feel energizes and happy. 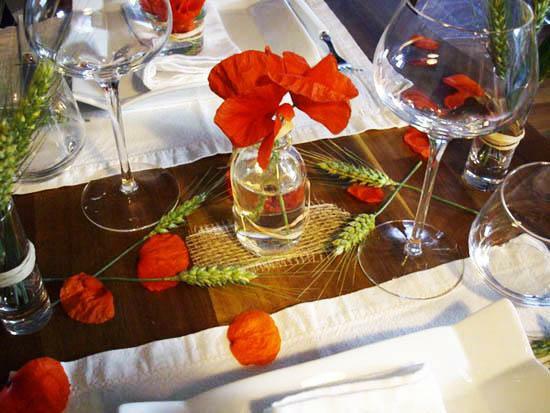 Here is a large collection of table decoration ideas that show bright ways to add red poppies to table decoration in elegant and functional style. 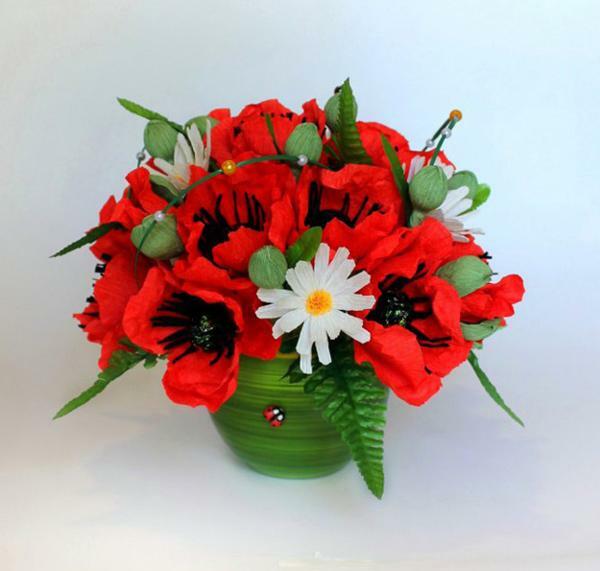 Red flowers are great for artificial floral arrangements and work well as bold cake decorations. 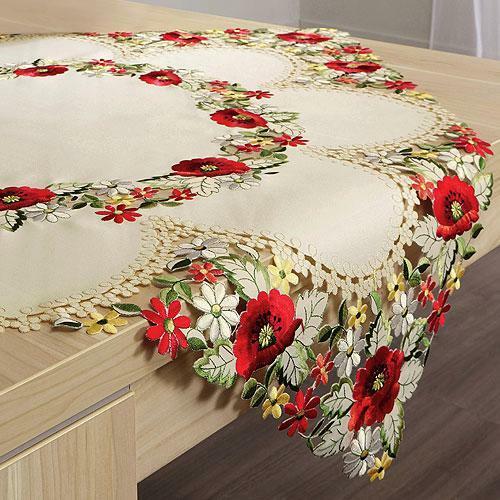 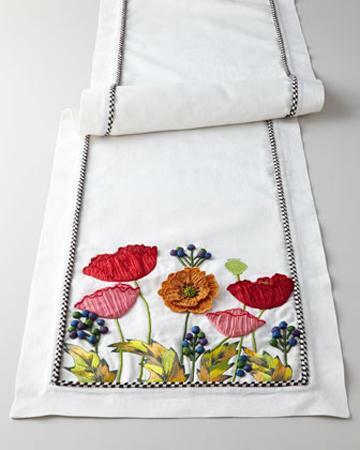 Red poppy flower embroidery and appliques are two more sophisticated ideas that can brighten up your dining table decor with red colors. 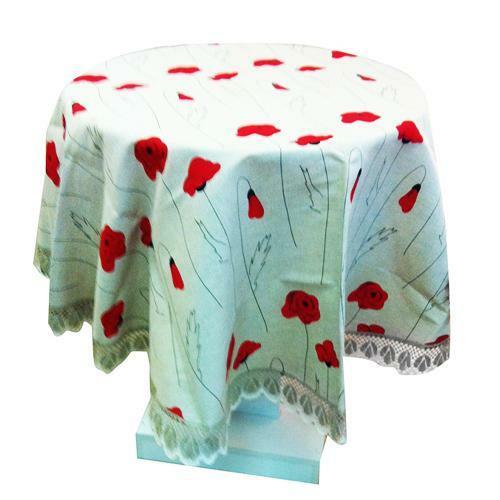 Floral fabric prints and handmade red flowers, wood and glass painting ideas, paper crafts and 3d clay flower designs are simple and easy ways to decorate your dining table with red poppies. 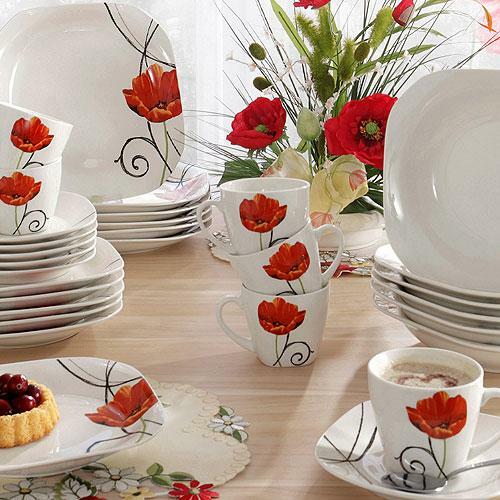 Beautiful flower designs that adorn white and red dinnerware is ideal for festive table setting. 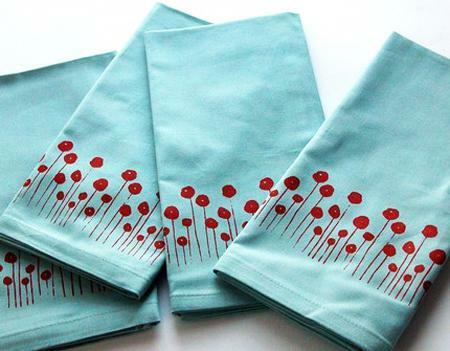 Combined with candles, these modern tableware with red poppies create stunning table decorations and inspire inexpensive and quick to make centerpiece ideas. 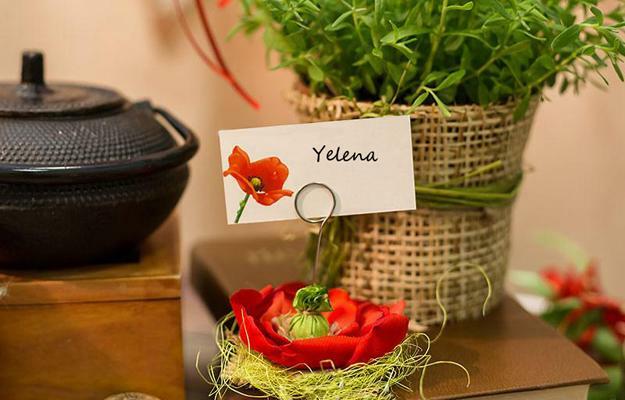 Red flower designs and candles are festive table decorations that give an abundance mood to your dining room, and make your family gathering very special. 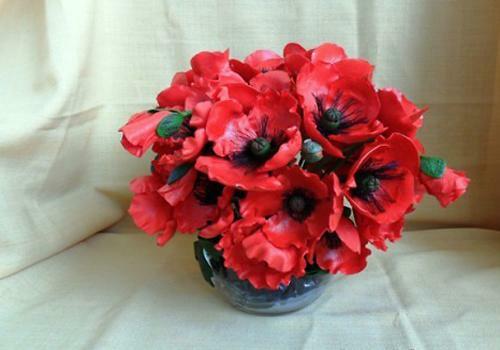 You can find hundreds of choices for red poppy flower arrangements and floral table decorations that bring unique details to your dining table decor. 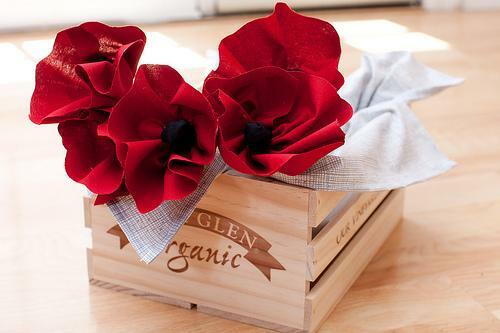 Red floral centerpiece ideas can be created with fresh flowers and dried or artificial flowers. 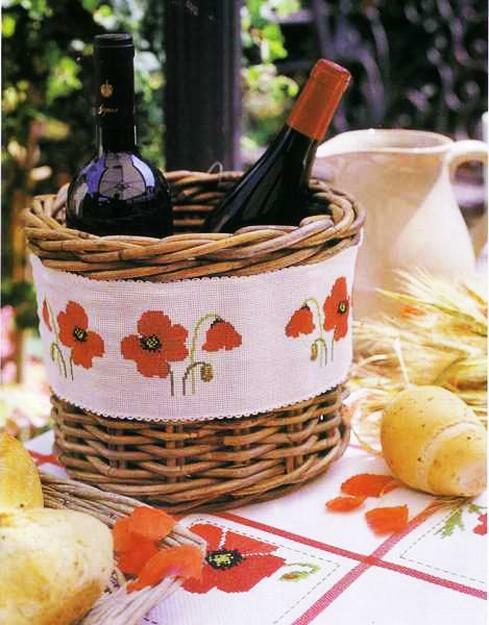 Paper crafts and painting ideas help beautify white and red dinnerware, glasses, serving trays and plates with gorgeous red flowers. 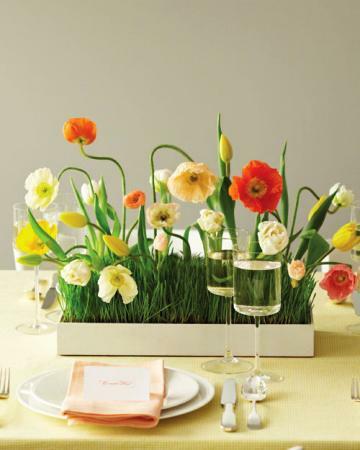 This collection of table decorations and floral centerpieces is inspiring, and can guide you to original ways of creating unique table decorations with poppy flowers. 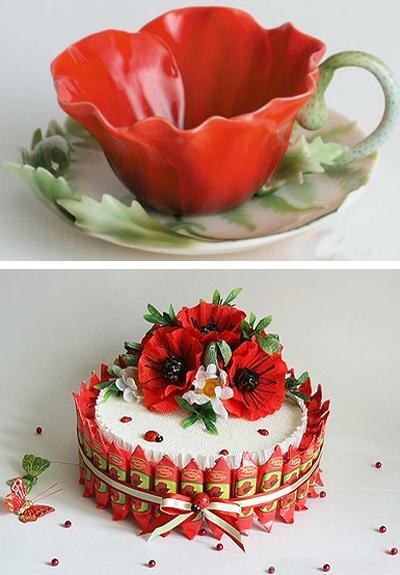 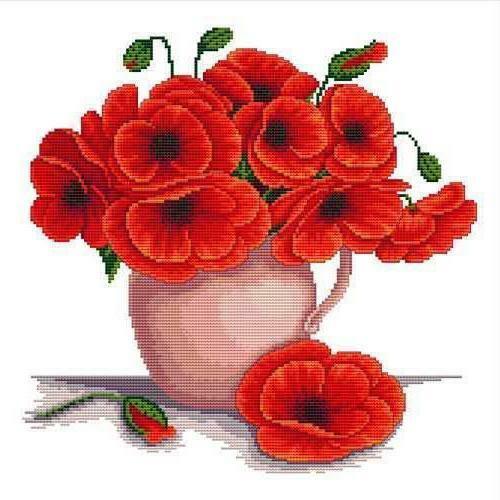 Keep in mind a few creative, fresh and elegant ideas and experiment with red colors and symbolic red poppy flower designs.